We don't normally stock this item, but can typically get it to you within 7 - 10 days. 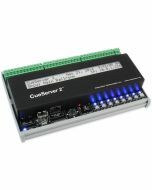 Need more DMX outputs for your CueServer 2? 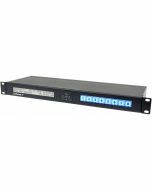 This will upgrade your existing unit with an additional 512 DMX channels (1 universe). Not for original CueServer (CS-800 Series) units, which are fixed at one DMX universe. ¹ CueServer 2 uses a sliding scale relationship between DMX universes and playback faders. Using one DMX universe will allow one to use all 32 playback faders, 2 universes - 15 faders, 3 universes - 10 faders, 4 universes - 8 faders, etc.